fun 1950’s Mod inspired wedding shoot! definitely outside the box ... love it or hate it ?? reminds me of some gangster movie for some reason ?? Love the cake ... painted fondant metallic gold. Love it love it love it! The brides giant bow/veil is gorgeous.. I need to get me one! Only thing I'm not a fan of is the wedding dress, it just doesn't seem to "fit" with everything else. 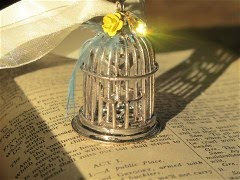 DIY Vintage Wedding ... Love it or Lump it?? Pirates of the Caribbean Style! The Goof Within .. My New Coat!